Crimson Joy | Holiday Ponies Figurines | One Price Low Flat Shipping! 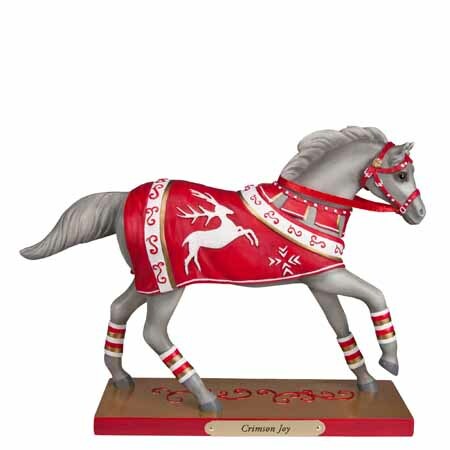 From the Trail of Painted Ponies Holiday 2016 Collection, Crimson Joy. Made of stone resin. Measures 7" tall. Designed by acclaimed equine artist, Lorna Matsuda. 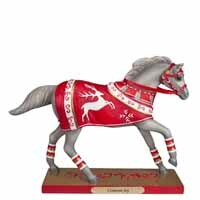 This holiday grey pony figurine is cast in a running pose and is clothed in a bright festive robe with a white reindeer and decorative crimson and gold accents.